Beovision 6002 was a luxurious colour TV receiver with a 66cm (viewable) screen and cordless, ultrasonic remote control. 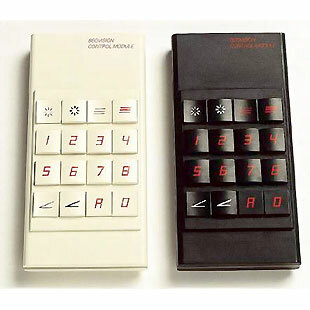 The slim remote control module allowed you to select up to eight TV programmes, adjust volume, brightness and colour strength from the correct viewing and listening position. You could also switch the set off without moving away from your armchair. The 'recall' facility provided a digital on-screen display indicating the channel currently being viewed. The reset function automatically returned volume, colour and brightness to pre-set levels. Picture quality was outstanding, with sharp, bright, precise image definition and natural colours. The automatic cut-off circuit monitored the balance of colours fifty times a second, guaranteeing long-term colour truth. Sound reproduction was of hi-fi quality because Beovision 6002 was fitted with a 6,5 watts RMS amplifier which had a wide frequency range and less than 0,8% harmonic distortion. The loudspeaker was of a pressure-chamber construction as used in many hi-fi audio systems. There were separate controls for bass and treble and sockets for connecting headphones and additional speakers. The receiver could also be equipped with a module for Teletext reception and video cassette programmes could be reproduced without additional technical adjustment. 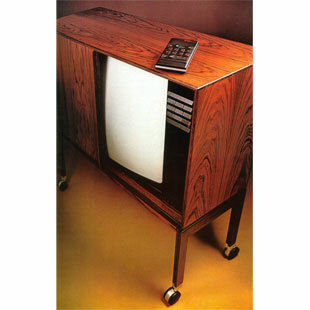 Beovision 6002's genuine wood-finished cabinet had a unique tambour screen door for protecting the screen when the set was not in use. The self-styled wooden undercarriage with smooth-running castors was both practical and elegant. Beovision 6002 was replaced by equally luxurious Beovision 9000 in 1981.